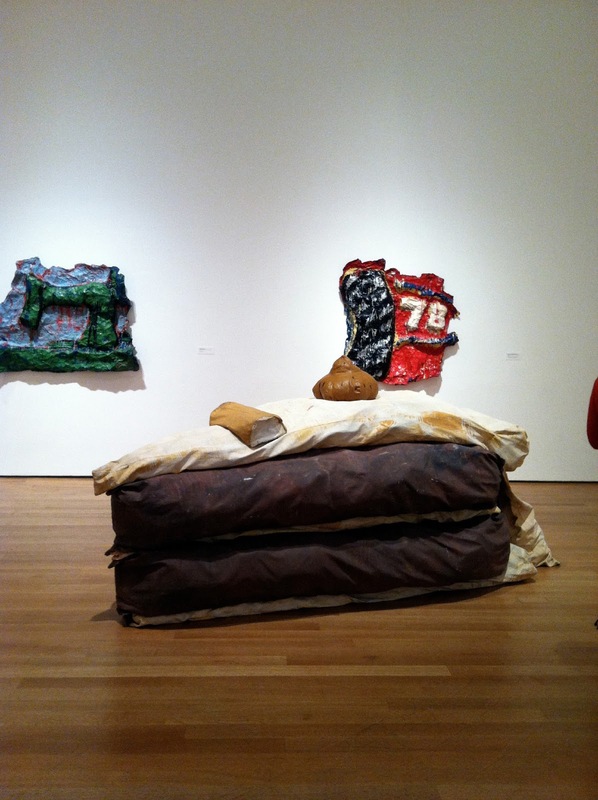 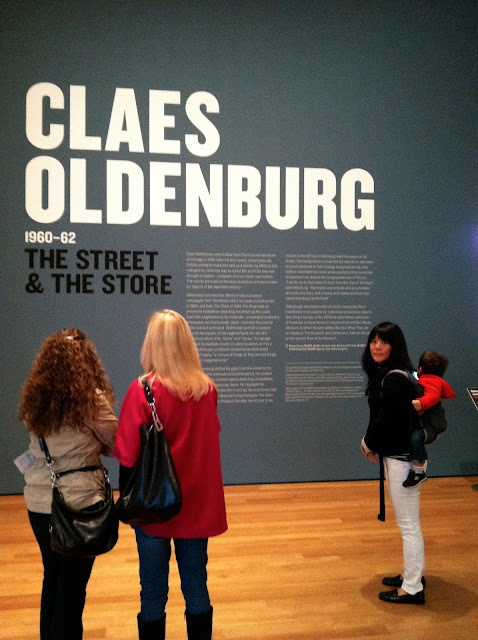 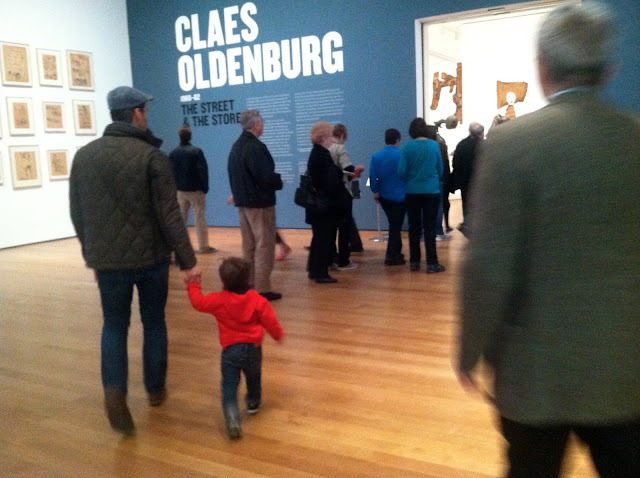 I was glad that we were carrying Greyson in an Ergo carrier at MoMA for Claes Oldenburg: The Street and The Store (April 14–August 5, 2013) since Greyson would have, otherwise, had his hands all over the plush hamburger, ice cream cone and cake. Sure, we told Greyson that Oldenburg's "audacious, witty, and profound depictions of everyday objects have earned him a reputation as one of the most important artists of the 20th century," but all Greyson saw was cake. 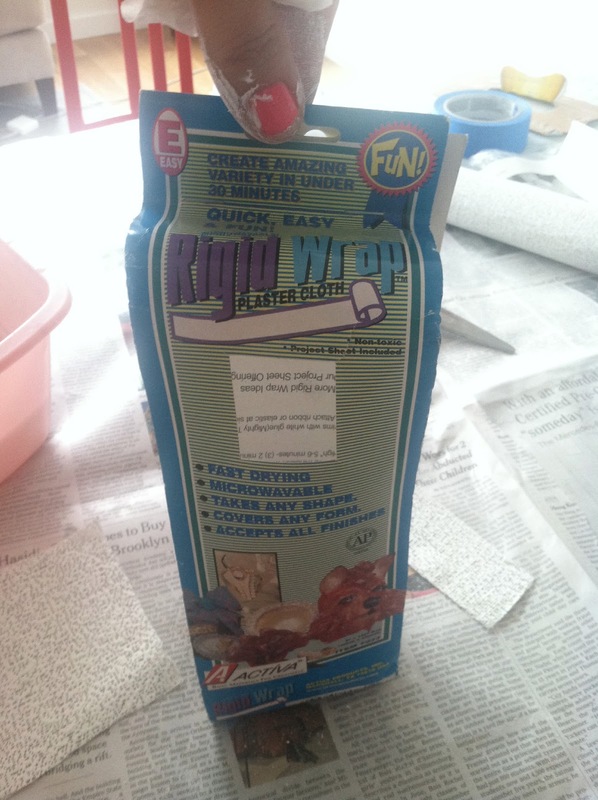 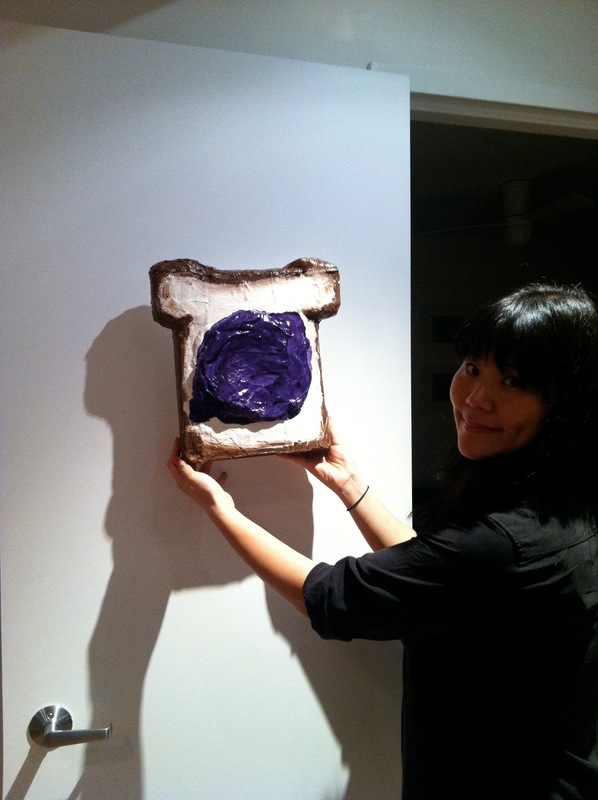 As an homage to Oldenburg, Rob and I made our own sculptures when we got home after the exhibit. 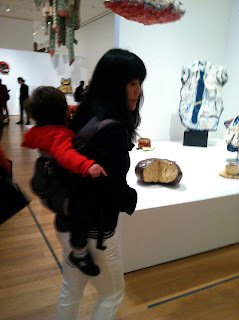 Before Greyson was born, Rob and I liked to do a some kind of creative exercise after seeing an exhibit we really liked, but now it's even more fun because we love exposing Greyson to art whenever we can. 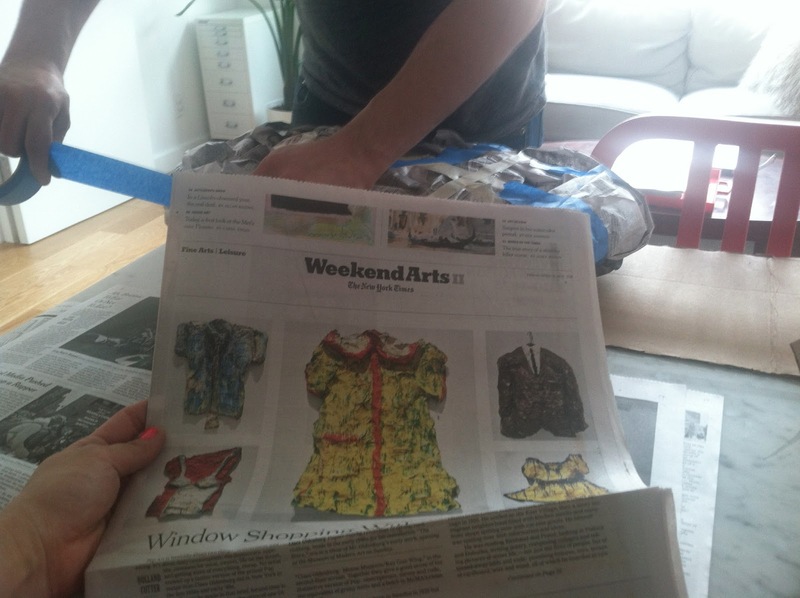 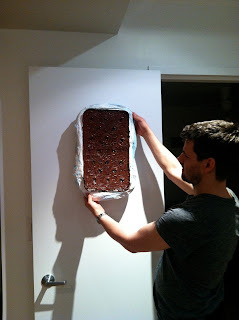 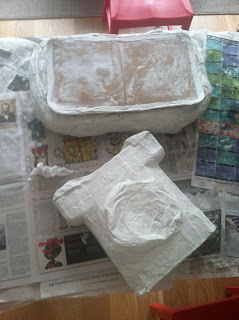 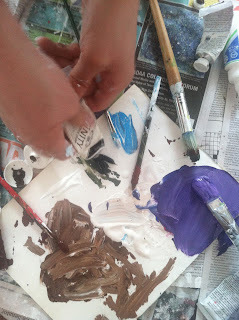 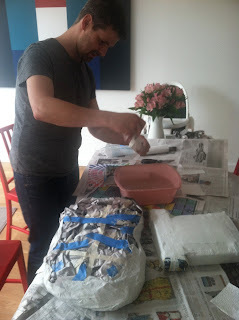 On this particular day, we papier-mâché'd and painted a piece of toast with jelly (me) and an ice cream sandwich (Rob). It was easy and gratifying! 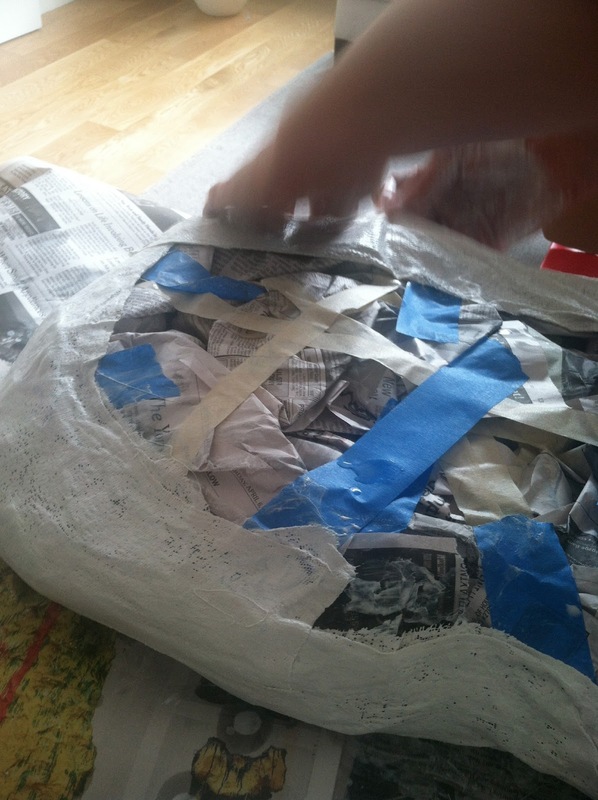 If Greyson was older and could sit through an hour of papier-mâché'ing, we would have loved to have done it with him, but instead we did the messy part while he was napping. 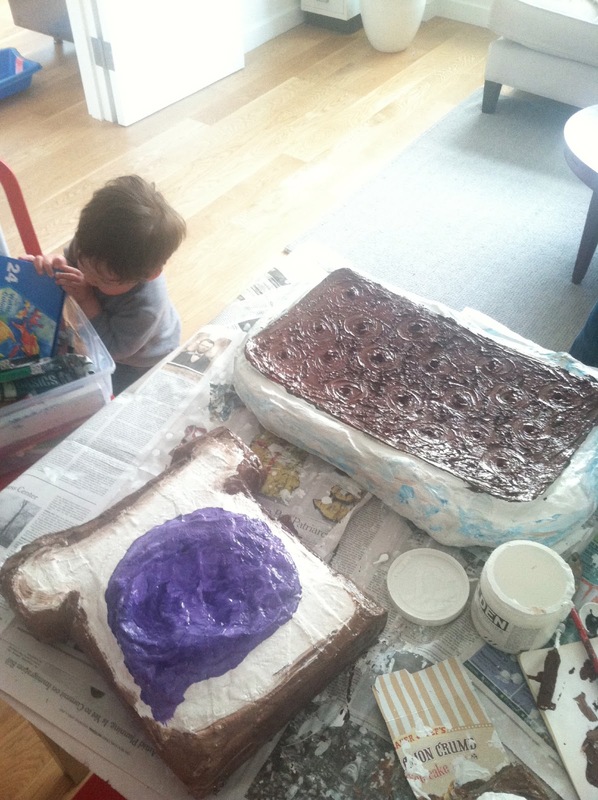 We figured Greyson would have more fun helping us paint the objects later. 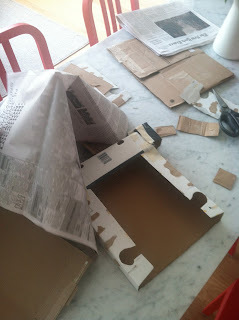 Here's what our process looked like. I highly recommend making fun papier-mâché sculptures as an activity after seeing the Oldenburg exhibit (or after not seeing the exhibit)!